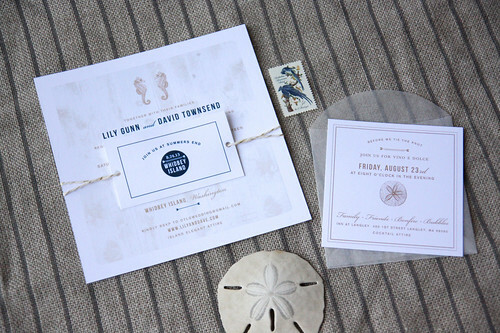 Lily got in touch with us after she saw our invitation feature over on Once Wed. 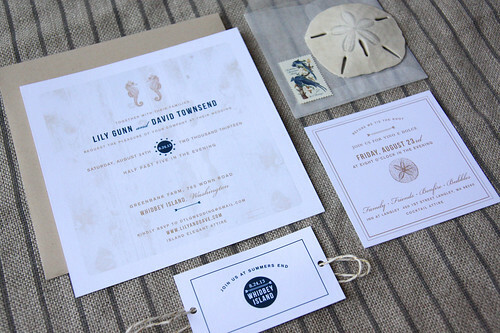 Her wedding is this summer on Whidby Island. 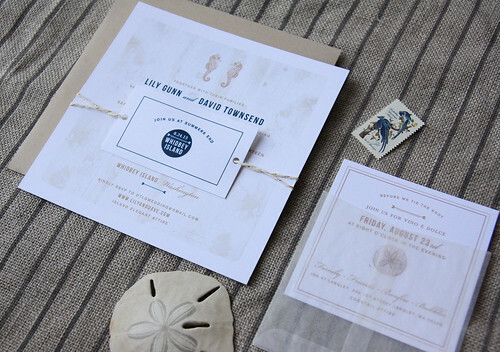 We used the same invitation design, but personalized it to feel more like her special day. 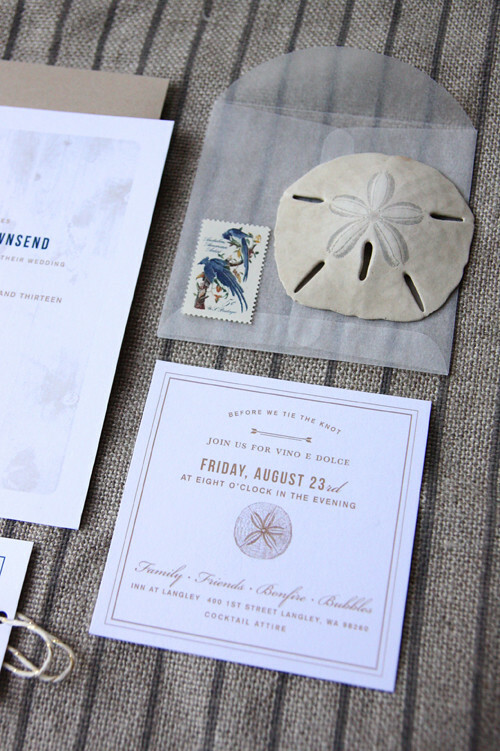 A few beachy touches and some color changes and we had the new suite ready to mail. 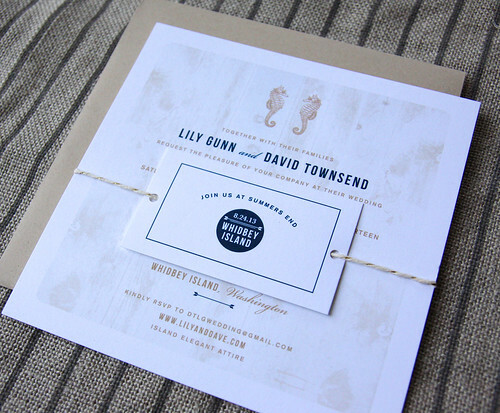 Simple and clean, but great little details like the twine & glassine envelope make it unique. Cheers Lily!